Take your party to the ‘20s — the 1920s, that is! Our Roaring ‘20s themed photo box features everything you need for a fun Golden Age party that would make the Great Gatsby himself jealous. 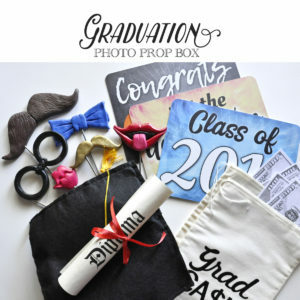 The prop box features themed signs, bowties, a shimmering feather boa and a selection of classy hand-held props to get you in the spirit. Find it here and use coupon “HotsyTotsy” for an extra $5 off! 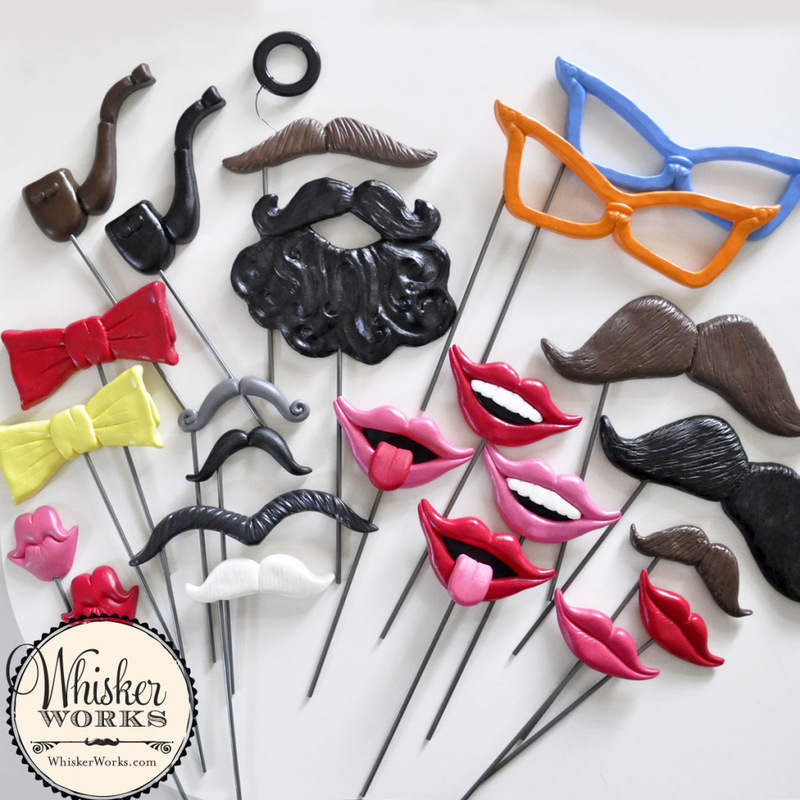 Visit WhiskerWorks.com to find this dapper photo booth prop collection! It’s a boy! Or maybe a girl? 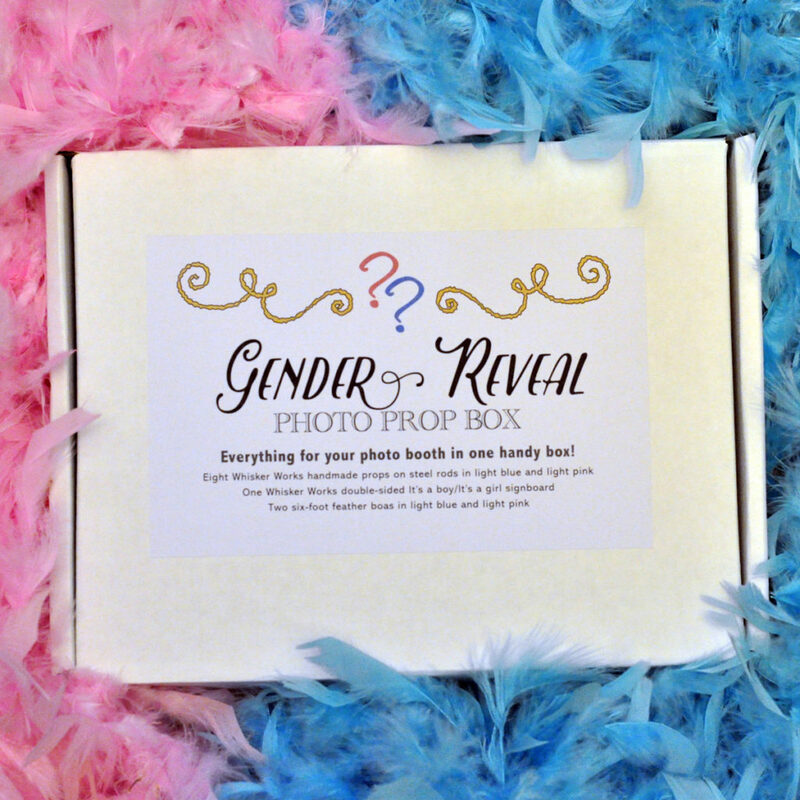 Hosting a gender reveal party just got easier with this convenient box of props! 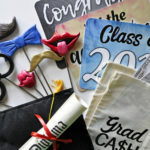 Easily create a photo station for your party guests to commit on film their gender guesses using boas, plastic props and a double-sided sign. This convenient box of supplies contains 11 props in light pink and light blue. Find it here and use coupon “boyorgirl” for an extra $5 off! Expecting twins? 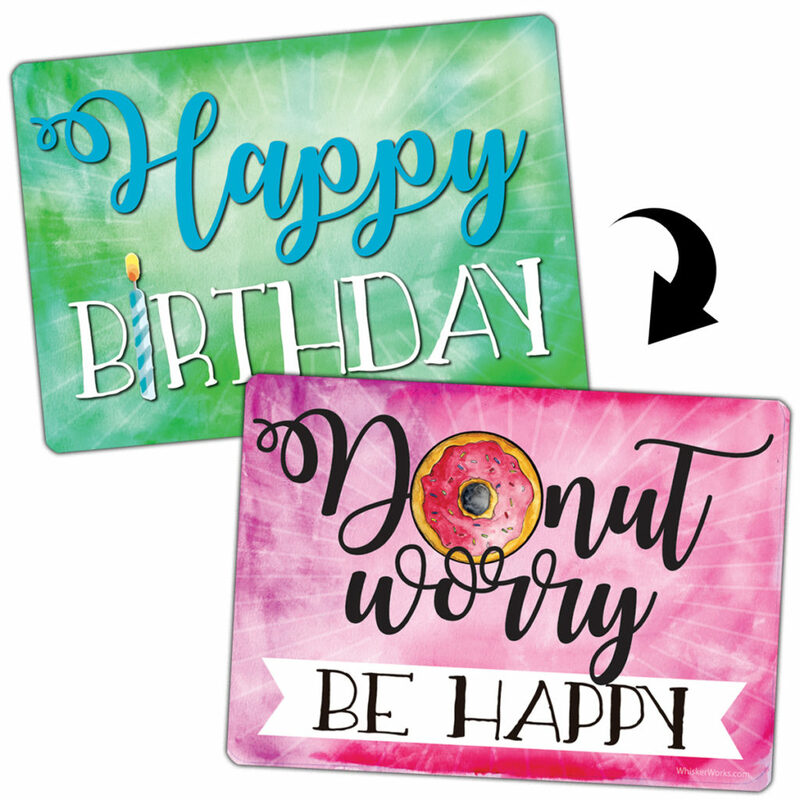 Easily add an extra sign to your set! Visit WhiskerWorks.com to find this unique photo booth prop collection! 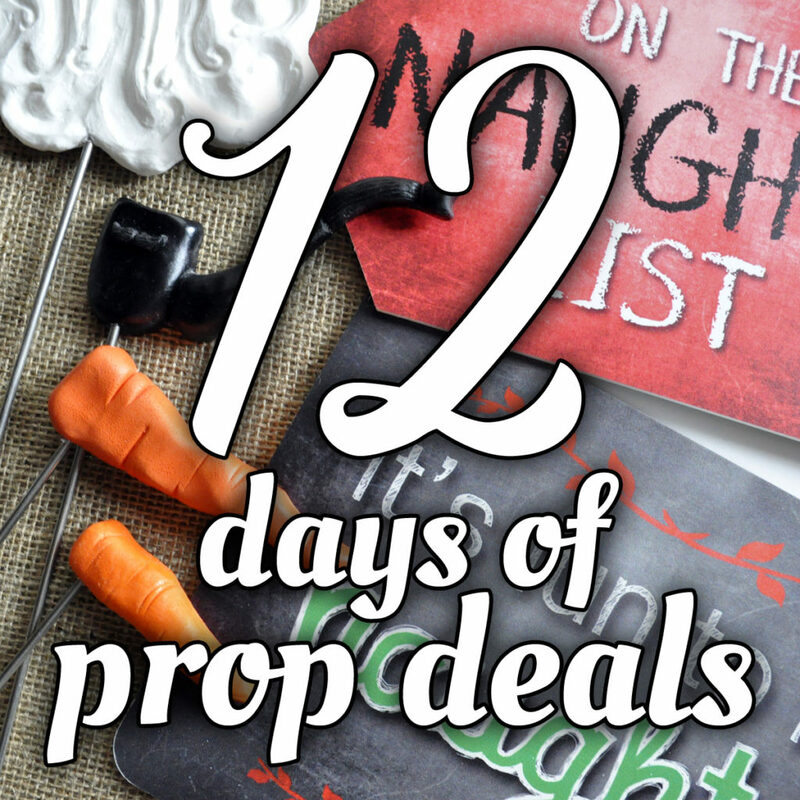 12 Days of Prop Deals! Our 12 days of Prop Deals has started! We’ll be announcing a new prop deal each day, so you can stuff stockings or stock up on photo props. It runs from Sunday, December 9 (today!) and ends on Thursday, December 20. The deals will be valid on our website, WhiskerWorks.com! Each deal will only last for 24 hours. Follow us on Facebook or Instagram to find our special fan code for an extra 10% savings which can be combined on most deal days. 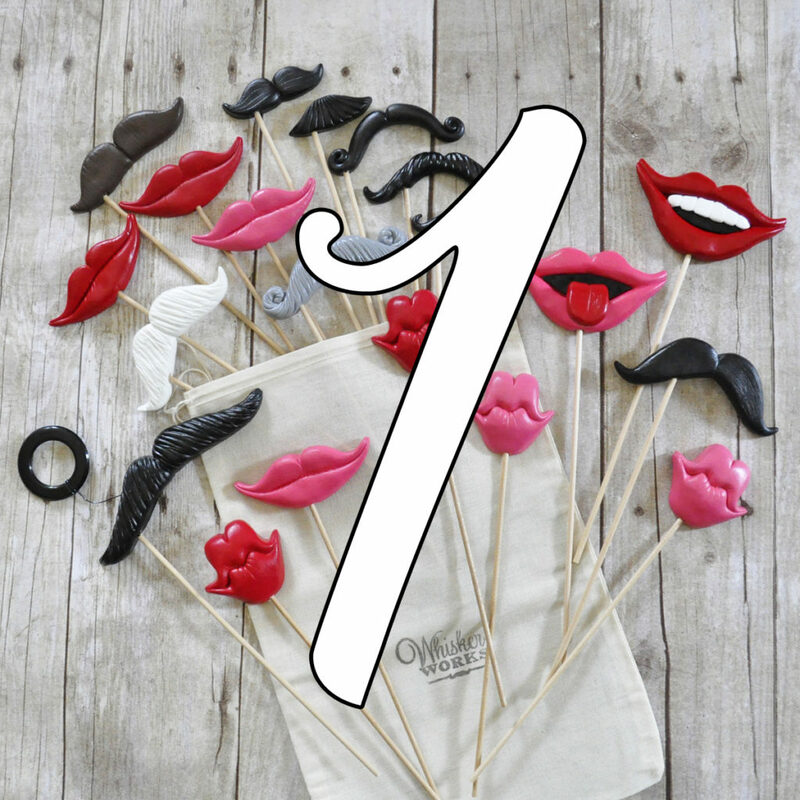 Our 12 Days of Prop Deals begins with 20% off our entire Prop Shop – including plastic signs AND manufactured plastic smiles and mustaches, which have never been discounted before! No coupon code necessary. 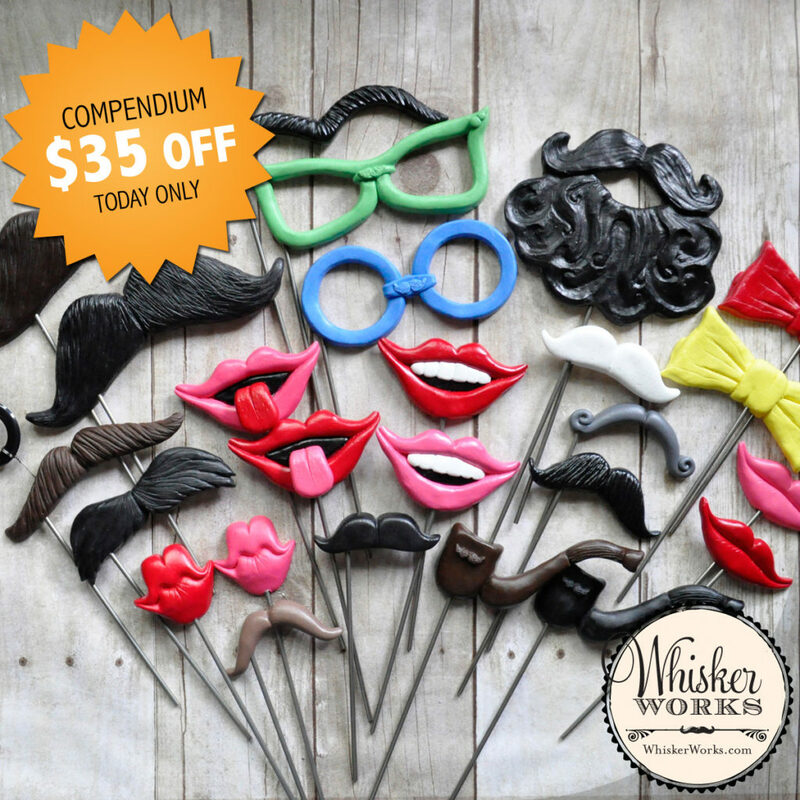 Visit WhiskerWorks.com for this deal! At midnight EST tonight, this deal will be over. 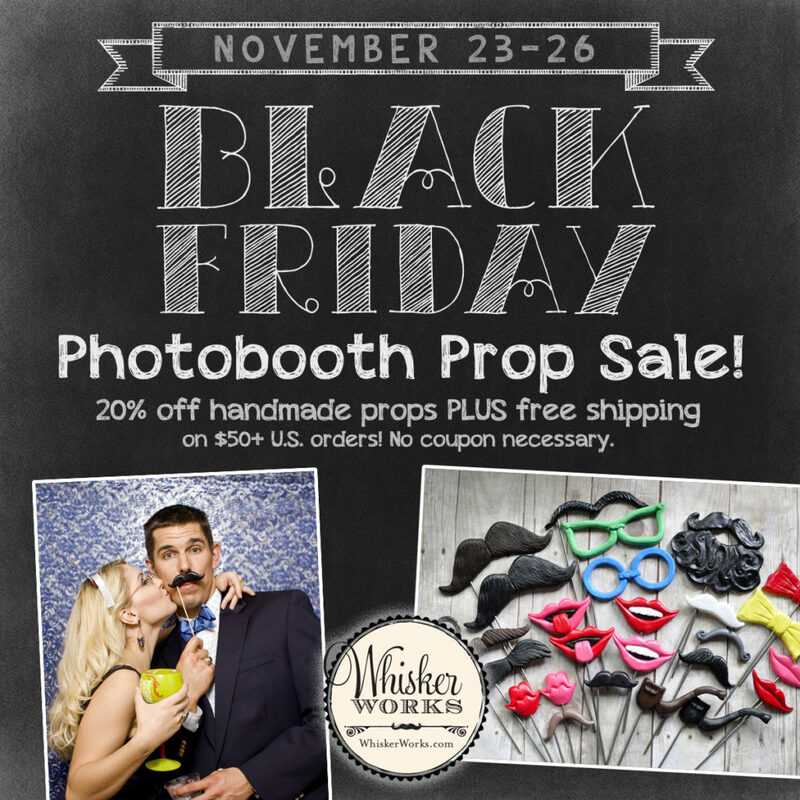 Cyber Monday deals on handmade props from Whisker Works! The savings continue! Whisker Works Cyber Monday deals are just as good as Black Friday. We have a nice selection of holiday-themed props, including Christmas and New Year’s Eve, and through midnight tonight all handmade props are 20% off. Our props are all made in America, durable, and fabulous! Visit WhiskerWorks.com to start shopping! It’s come to our attention that some voters in Florida may have used disguises to obscure their identities when going to the polls last week, a shocking revelation made by President Donald Trump in a carefully worded and well-sourced proclamation issued by tweet yesterday. 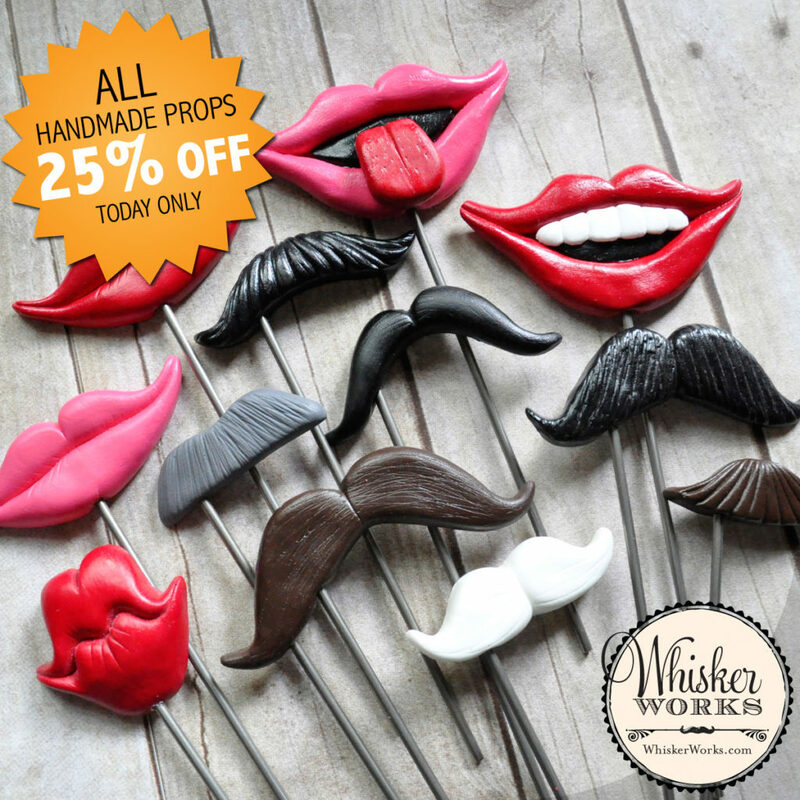 We at Whisker Works feel an obligation to inform our customers of the potential for misuse of our props, and the likelihood that some of our artificial mustaches on sticks may have played a hand in undermining the integrity of our elections system. For this, we are truly, deeply sorry. When we embarked on this venture into the exciting world of temporary facial obscuration nine largely uneventful years ago, Amber and I never thought we would become accessories to state crimes. Our business is making people happy, mostly at parties and weddings. Should we make people happy at polling places, that’s fine, too, as long as they aren’t voting more than once, after a comic series of disguise changes in the parking lot, rifling through an assortment of artfully styled facial accoutrements in search of just the right look to fool our fair state’s keen-eyed polling place volunteers. To be frank, it’s disturbing to know that we may have given anyone access to the tools they needed to commit voter fraud. In the interests of making things right, we’ve reviewed our extensive product inventory and prepared a list for law enforcement of styles we feel were most likely to be abused in such a way. We’re fully willing to cooperate with any agencies investigating this matter. We’re also committed to revising our website to display a prominent warning that our props are not to be used in the commission of a crime, be it voter fraud, tricking cashiers into selling alcohol to minors, or impersonating a dashing celebrity in hopes of landing a date. These warnings will also be included with all future orders. Hopefully in time we will be able to regain your trust, while we work to stamp out the scourge of disguise-based voter fraud. Thank you for your attention and understanding. The tassel was hopefully worth the hassle! Now it’s time to celebrate your accomplishment. 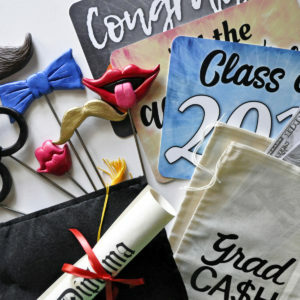 Add color and humor to your graduation photo booth with this customizable prop collection! This set includes 13 celebratory props and a convenient storage box. Click here to order. – Congrats Grad! / The Tassel was worth the hassle! – Class of 2018 / Now what? Each sign measures 7″ x 10″ and is made of thick, high-quality flexible plastic with rounded corners. Bowtie and glasses can be sent in ANY color — have them customized for your school! It’s been a long time coming, but we’ve taken your requests to heart and are thrilled to debut our new sign options! Planning a 1920’s style party? An ice cream party? How about a baby shower? Or something fun for Halloween? We’ve now got you covered. Our signs are double-sided with rounded edges. 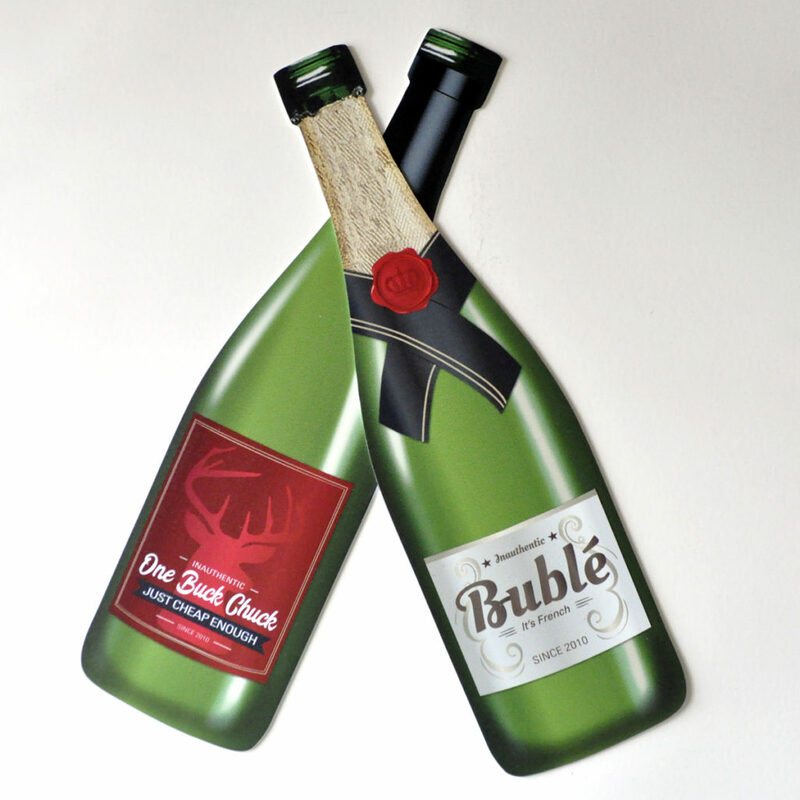 They’re printed on very strong yet flexible PVC plastic – you’ll appreciate the quality. We’re proud to say they’re designed and printed in America (Orlando, Florida area to be precise)! And the best part — they’re ready to ship today! Let the adventure begin with our gender-neutral baby shower signs! Don’t be “that guy”… treat your ghoulish guests with our festive Halloween set! I’m here for the BOOS. We’ve created a family-friendly version of our Party Mix that makes no mention of alcohol and cops. Instead, it will delight your party-goers with colorful ice cream and music phrases! Rated PG-13. But don’t worry – we still have our adult humor party signs available too! Last but definitely not least, our most demanded set is now available — don your flapper dresses, fedoras and suspenders — cheers! Our Roaring ’20s signs are ready to ship. It gets even better. Because we’re a home-based business, we are limited with space — in with the new means OUT WITH THE OLD! 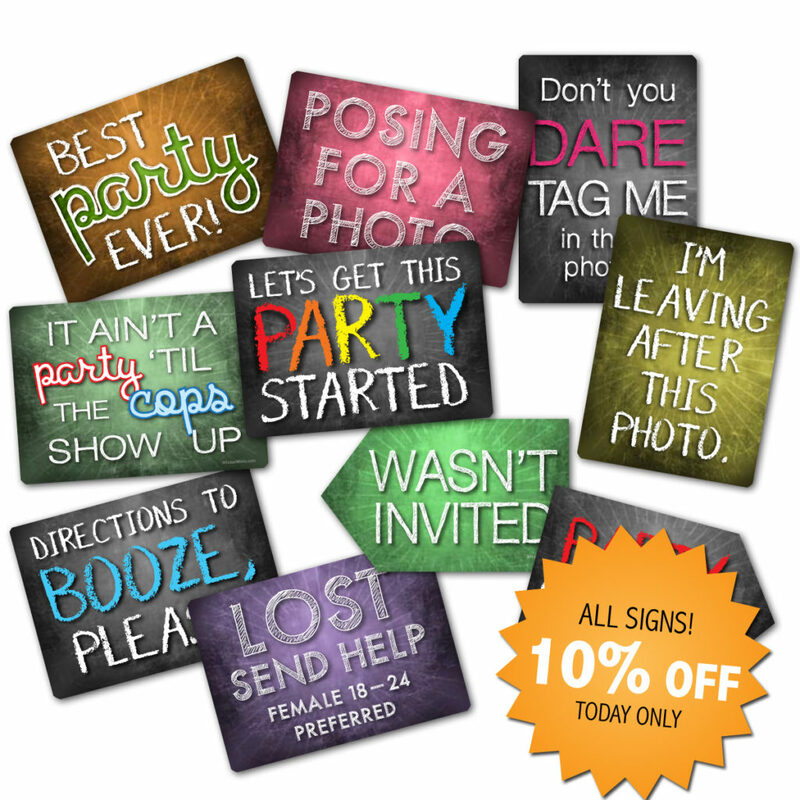 We’ve put heavy discounts on our oldest sign sets, all available in our Sale section. Some signs are as low as $2.99, with shipping starting at $3.50. Order $50 or more and your order qualifies for free shipping to a U.S. address. Sale items are limited quantities. Thanks for reading down this far! A lot is happening over here at the Mustache Factory, and it’s all exciting! Soon you’ll be noticing a new look to our website as we’re in the process of a complete redesign, but until then, you’ll be able to enjoy the following new shop options. A few months ago we debuted new 8″ steel rods as an option on all of our listings. And just recently we found an American-made supplier of rubber end caps for our rods, which really enhance the look and feel of our props. 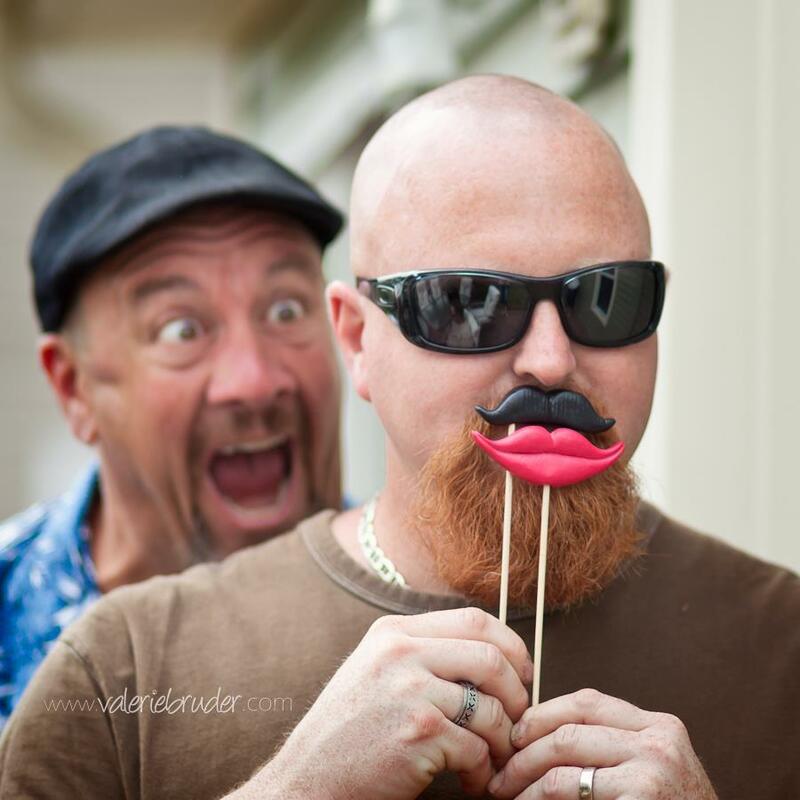 Your photo booth clients will love them! They are now included on all orders of props with steel rods and are also available for purchase individually here. Also, if you’re looking for wood dowels for your props at a length longer than 8″, contact us! We can make that happen for you. And finally, have you noticed our new signs? 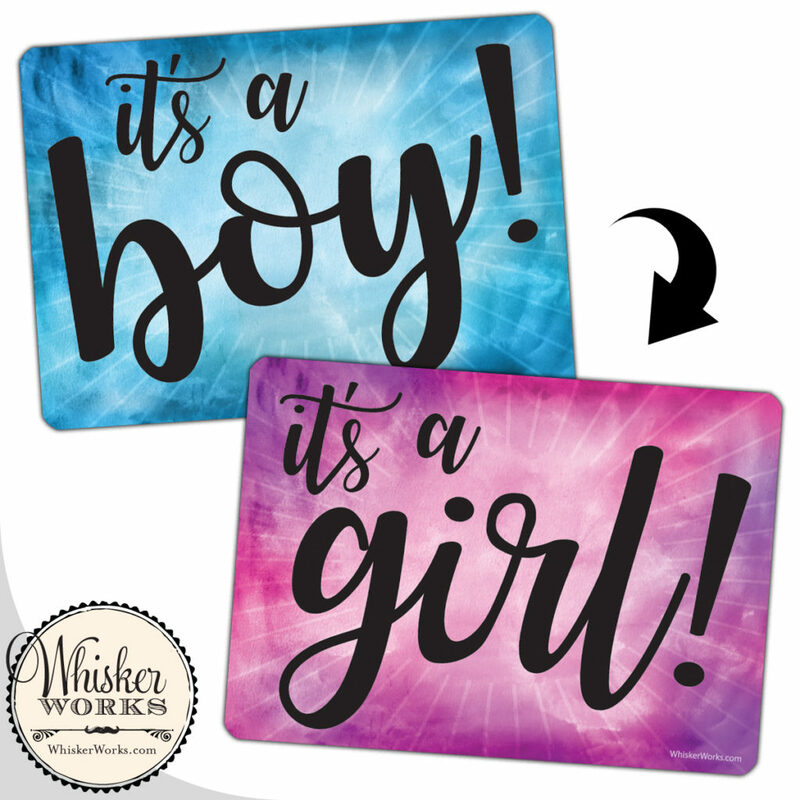 We’ve debuted new plastic signs for baby showers, gender reveal parties, birthdays and celebrations! We’re looking forward to a great 2018! Eight hours remain in our Cyber Monday 2017 sale — all handmade props are 25% off, all signs are 10% or more off, some handmade props are even discounted by 50%! Plus we have other shop-wide goodies and sales! 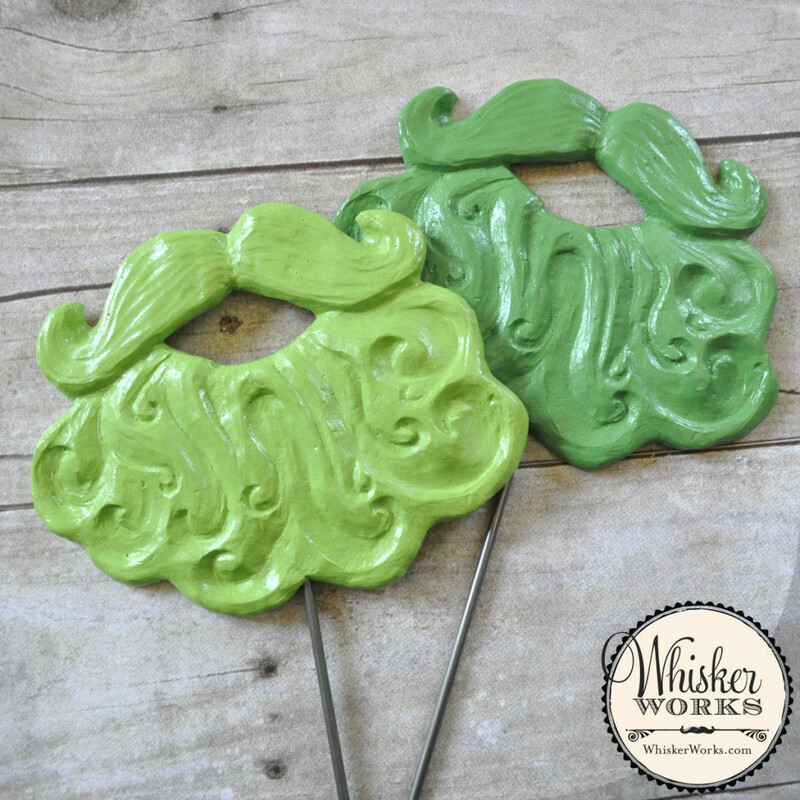 Visit WhiskerWorks.com today. This sale ends at midnight! What’s our best deal? It’s the Compendium Mix! Score a discount of $35 off until midnight tonight. 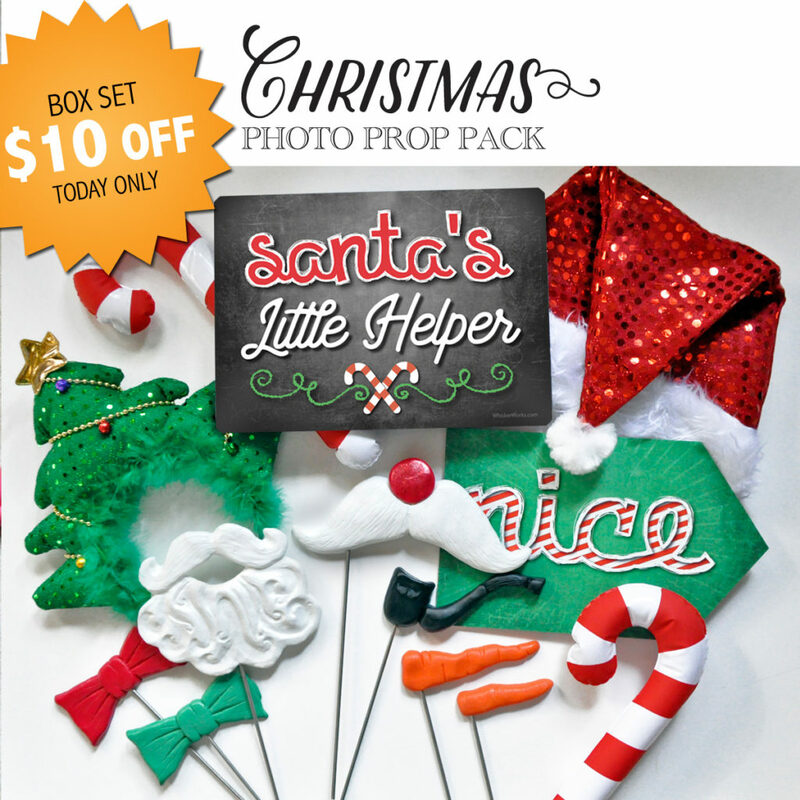 You can also snag our newest item — the Christmas Box of 13 holiday photo props — for $10 off. Mustache March is upon us! It’s that time of year again for you to replenish your prop stock! Mustache March is a month of mustachioed awesomeness, and we’re bringing to you our biggest month-long sale yet. 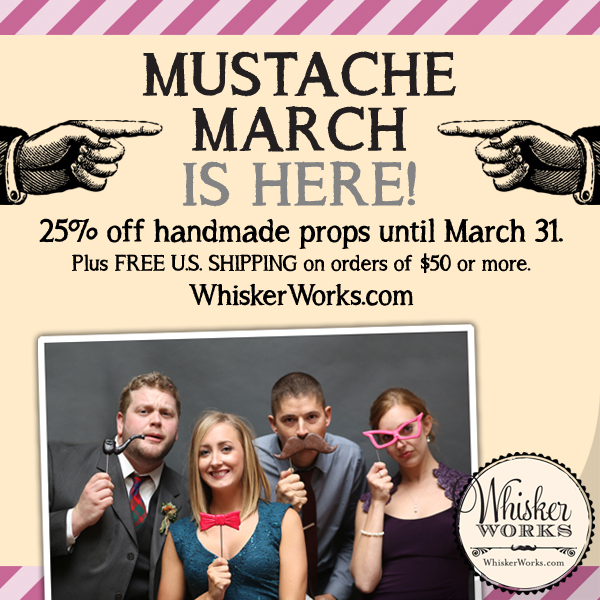 Head on over to WhiskerWorks.com to save 25% on all of our handmade props! The Compendium Mix, our most popular photo booth collection, is discounted by more than $35, this month only. Have photo props delivered in time for St. Patrick’s Day or plan ahead for Halloween – we’ve created all sorts of thematic sets to make your booth that much better. Tell your friends! And as always, orders of $50 or more to U.S. addresses receive free shipping. Discount applies to handmade props only. Some sets are discounted by more than 25%! Be sure to check out our “On Sale” shop section for other deals! 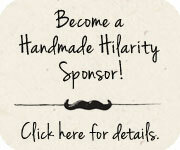 Mustache March sale ends April 1st – no joke!